George Edward Lodge was brought up in Lincolnshire and educated at home. As a child he was already fascinated by birds as well as by taxidermy: he stuffed his first bird, an owl, at the age of twelve. As a student at the Lincoln School of Art he was awarded fourteen prizes for drawing and later became an expert wood engraver. As a young man he travelled widely, visiting Sri Lanka (then Ceylon), Japan, the United States, Scandinavia and the West Indies. A great sportsman, he made annual visits to Scotland and the salmon rivers of Norway, where he gathered material for his work on raptors. He was a keen falconer and spent the last part of his life in a house at Camberley which he named Hawk House. Lodge was a prolific illustrator, being best remembered for his superb work on Dr Bannerman's twelve volumes of The Birds of the British Isles. 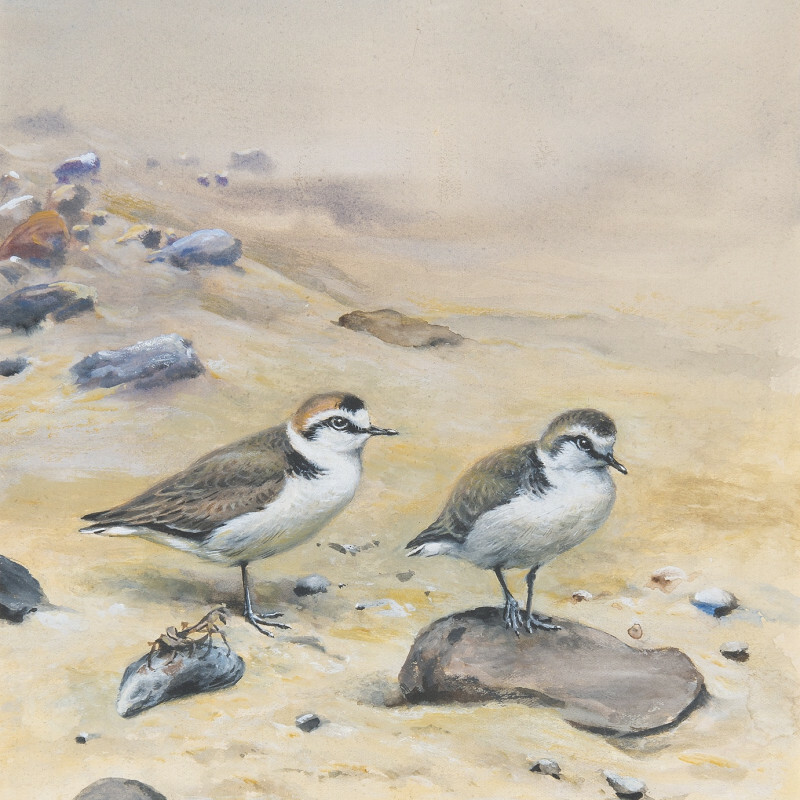 He only wrote one book, though, at the age of eighty-five: Memories of an Artist Naturalist. The George Lodge Trust has been recently established to encourage awareness in the life and work of George Edward Lodge. A man of most exceptional charm and distinction, [Lodge] was recognized on both sides of the Atlantic as one of the finest bird-artists this country has ever produced. His wide experience in falconry doubtless gave him special knowledge of the hawk family, for he was a keen falconer from his earliest days. In the painting of birds of prey he had no rival in any country. He was primarily an artist but, being a good naturalist as well, he was able to depict his subjects among their natural surroundings and to make them look alive."